Make Every Contact Count. Wherever you are. on PC, tablet or mobile. Track activities, record and update data or submit requests. How and where people work is changing. If you’re on the road visiting patients or if you work from home you can still get full access to Sysco Healthcare from a SmartPhone or Tablet. All that’s required is an internet connection. Updating Sysco Healthcare provides information to all of your team, departments and colleagues in real time. What’s more, when your Internet access isn’t stable the Sysco Healthcare application allows you to view information offline as well as entering new information. When you’re back online, any changes made offline is automatically pushed to the live Sysco Healthcare central database of records. This means you can literally work anywhere, even in remote locations without WiFi, 3G / 4G or 5G connectivity. 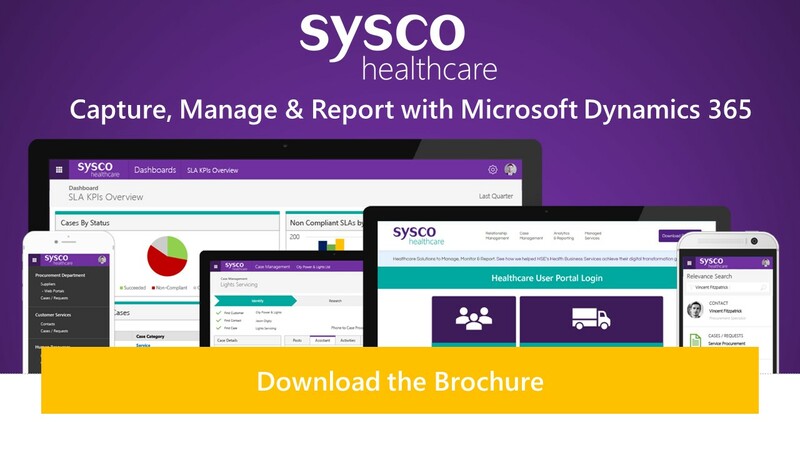 Sysco’s Healthcare Solutions provides a comprehensive audit trail of meetings, emails phone calls, scheduled tasks, notes across suppliers, contacts, employees and cases. A fully featured relevance search means you can find the information you need quickly, from wherever work takes you.